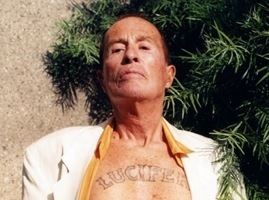 Years later, after Kenneth Anger had deceived multitudes of people into thinking they were worshipping the supposed “light god,” an entity that was not really Satan, Anger “confessed” that Lucifer whom he worships had always been the historical “Satan” (Lucifer Rising, p. 47). It was too late though for many Satanists who had been deceived and long before died in their sin and are in hell right now. It is too late for the multitudes that are now cursing Satan, Anton LaVey and Kenneth Anger from the place of indescribable and horrific eternal torment. It is not too late though for the reader who may have been deceived by the same lie and yet still has a small window of time to turn from Satan to Christ and be saved. Aquino went on to describe how they believe that they, as Satanists, are now becoming gods. This was at the heart of Satan’s initial rebellion and now Aquino was parroting the essence of Satanism, which is a desire to usurp the true and living God’s authority and follow Satan into God-realization. “We are not servants of some God,” declared Aquino, “we are our own gods!” Oprah Winfrey appeared to be shocked to find out that this was exactly what she believed as a New Ager, failing to realize that the New Age movement has it roots in Crowleyan Satanism even as Aquino’s Satanism. Much to Aquino’s chagrin, the Temple of Set would find out that even as debauched as the world has become most people are still smart enough not to knowingly serve Satan and end up spending eternity in hell. After bringing Satan out of the closet, The Temple of Set failed to enlist the large amount of recruits they apparently hoped for. In their failure to acquire more recruits they changed their method of evangelism and returned to a formula more in keeping with that of the Church of Satan. Today the Temple of Set, like the Church of Satan, espouses a more palatable, seeker-sensitive form of Satanism so as not to scare off potential recruits. The result is that Satan is once again cloaked in ambiguity and the song remains the same as inner circle initiates are deceiving outer circle initiates. 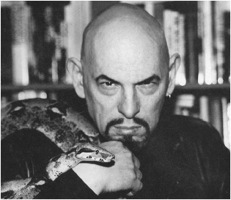 Note that the only reason LaVey concedes that he is not publicly advocating actual physical human sacrifice is because it is against the law, implying that if they could get away with it they would do it. In fact, LaVey takes credit for the death of Jayne Mansfield, her boyfriend and Lawyer Sam Brody, stating that it was a result of a ritual curse on Brody, and Mansfield happened to be in the wrong place at the wrong time. 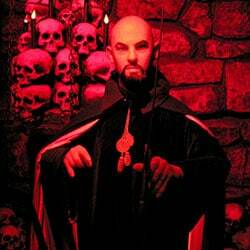 LaVey also believes that he was responsible for the Manson family murders. Manson was heavily influenced by the satanic cult known as the Process. The Process also acknowledged that Satan is a real entity. Their particular twisted spin, in an effort to get unwitting recruits, was not to pretend Satan was not a true entity, but to claim that Satan was actually a Jesus-loving devil. The Process claimed that Jesus and Satan had reconciled and that all would work out well in the end for everyone, including Satanists, because Jesus had supposedly forgiven the devil. Ridiculous as this spin was it proved successful in garnering more than a few recruits. The bodies have piled up and the idea that Satanism is not behind the deaths of countless multitudes of innocent people is a lie only believed by the incredibly naive. Manson, who was a confessed Satanist, was responsible for up to 35 murders if the admissions of some of his former followers are to be believed. Charles Manson, whom Marilyn Manson cites as one of his preeminent inspirations and a brilliant philosophers, has stated, “Jesus Christ is for real and so is that other guy [i.e. Satan].” Charles Manson knows that Satan whom he serves is a real entity and has been more candid than has his follower Marilyn Manson. 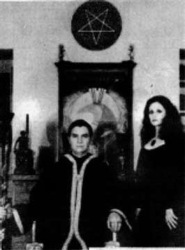 Son of Sam who was part of a Process coven made up of 22 Satanists and connected to several other satanic covens also murdered several people at the direction of the coven. We show his videotaped admissions in our video They Sold Their Souls for Rock n Roll (full length version). 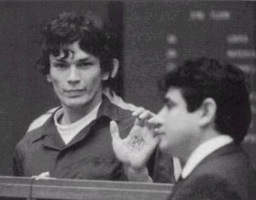 Richard Ramirez, who followed the Satanic Bible, met with Anton LaVey before his satanic killing spree killing 20 people. Ramirez even went so far as to torture his victims and made some “swear to Satan.” Between Manson, Son of Sam and Richard Ramirez alone, we have dozens of murders in the name of Satan. We could easily add to this list – case after case that could easily fill a book – but we have more than sufficiently made our case for those who will honestly look at the evidence! We have now seen conclusive evidence that the most influential and notorious satanic leaders have had a campaign to dupe their followers into becoming unwitting followers of Satan himself. We have seen not only their admissions, but the deceptive web they have spun to prey on outer circle initiates. Dear reader, if you have been deceived by any of the aforementioned Satanists, we plead with you to recognize the magnitude of the deception at hand. We plead with you to recognize that which is obvious to all of us who have eyes to see and ears to hear. Jesus Christ promised that he would not cast away any that would come to Him (John 6:37). Turn to him now before it is too late. Your life is very short and Satan is playing for keeps and your soul is his prey. Wake up and turn from these demonic parasites that prey upon your souls and turn to the Lord Jesus Christ who loves you and died for your sins so you would not have to go to hell. It is not by accident that you are reading this article. God is seeking to use this article to open your eyes to a deception that has deceived you for too long. Do not bet your soul on Satan, he is the ultimate loser! Don’t gamble, you will surely lose! The odds are too great, the stakes are too high and eternity is far too long. Cry out to God right now and receive Jesus Christ as your Lord and Savior. If you do He will miraculously deliver you from demonic powers. He will deliver you from Hell and give you a new destiny. He will deliver you from the penalty of death and give you new Life. Hope to see you in heaven! I think you could say the same for many religious denominations, churches, secret societies, political parties. At the top, they are secret Satanists, they don’t tell that to the lower recruits. The lower recruits are useful idiots and pawns for their money, donations, offerings, etc.